If you are looking for hilariously funny April fools pranks for kids then you have come to the right place! 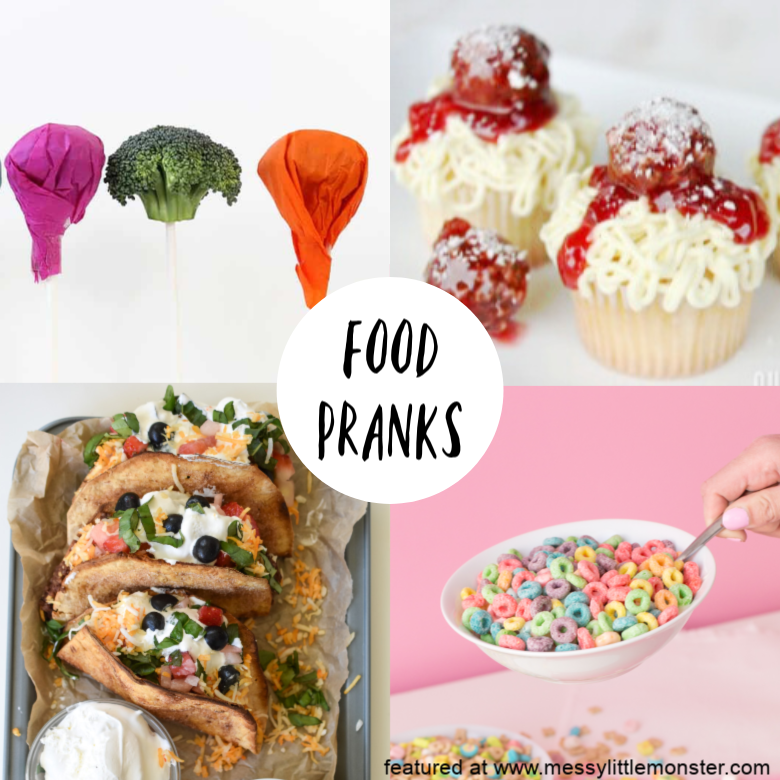 We have had so much fun putting together this list of some of the best food pranks for parents to play on their kids. 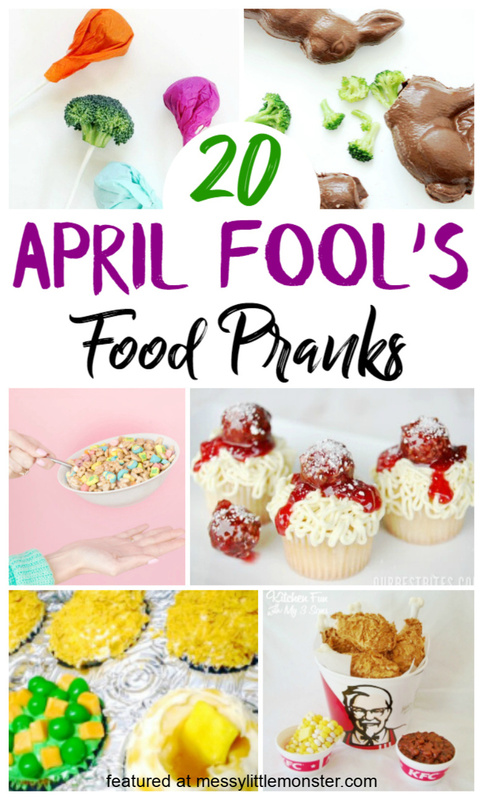 Get the whole family involved with these funny April fool ideas. 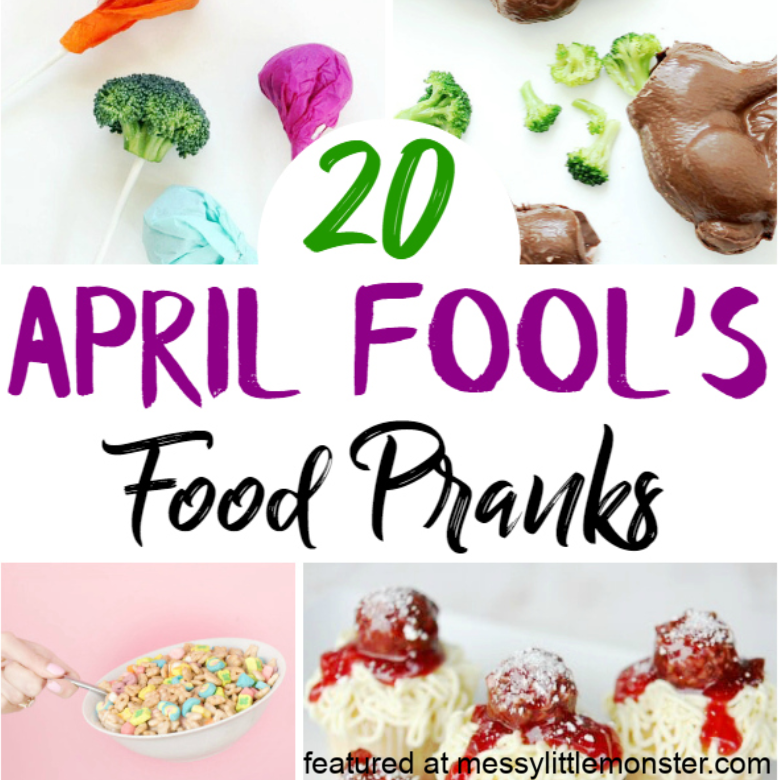 Check out the list below and choose one or two of these hilarious April fools pranks to have the whole family in hysterics. 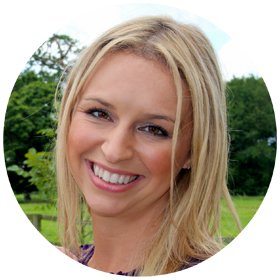 Click on the links for full details of each April fools day prank. Kids will find it hilarious as their whole bowl of cereal sticks to their spoon! The best thing about this April fools day prank is that it is actually a tasty treat too. Invite your child to help themselves to a lollipop....only really is broccoli! This taco looks so yummy, but all is not as it first seems. These delicious looking tacos are actually made from sweet ingredients. A prank the kids will love for sure! 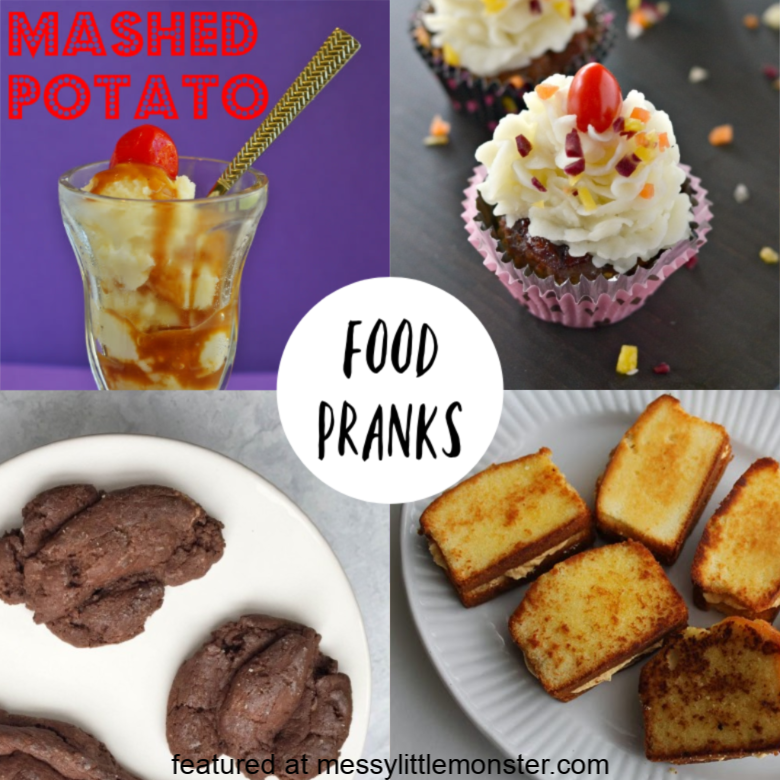 Why not prank the kids with some fun spaghetti and meatball cupcakes. They are sure to be delighted when they find out they are having cakes rather than their regular spaghetti and meatballs meal. Do your kids love KFC? If they do then this food prank is perfect for them. Ok, so this one looks pretty disgusting, make a kitty litter cake to fool the kids. I can think of a few kids that would find this food prank hilarious. Cupcake anyone? Will kids love or hate this April fools prank where a cake is actually a pefectly portioned out meal of meatloaf and mash. Ewwwww chocolate pickles! Watch your kids face when they realise what they are eating. These April fools day grilled cheese sandwiches are actually something a little tastier.....dessert! This is such a fun April fools prank for parents to play on their kids. Present your child with a delicious mashed potatoe sundae! This has to be one of the best April fools pranks for younger kids who find anything poop related hilarious - poop cookies! This April fools dinner is perfect for any fast food lovers. It looks like a full meal, but it's actually dessert. Kids will love these sugar cookies that look exactly like ice cream scoops. YUM! Hehe, I love this, its such a fun April fools idea. Fill a chocolate bunny with broccoli instead of candy! This chicken pot pie recipe isn't as it seems, instead of finding chicken and peas in their pie there will be bannana pudding! 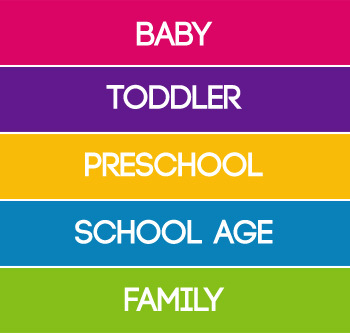 Give the kids pink milk by adding a drop of food colouring to your milk. Give them a glass of frozen juice instead of their regular juice. Freeze cereal and milk into a bowl overnight and watch them try to dig in! Add googly eyes to all the fruit in the fruit bowl. Fill an empty chocolate box with broccoli and add the message April fool. 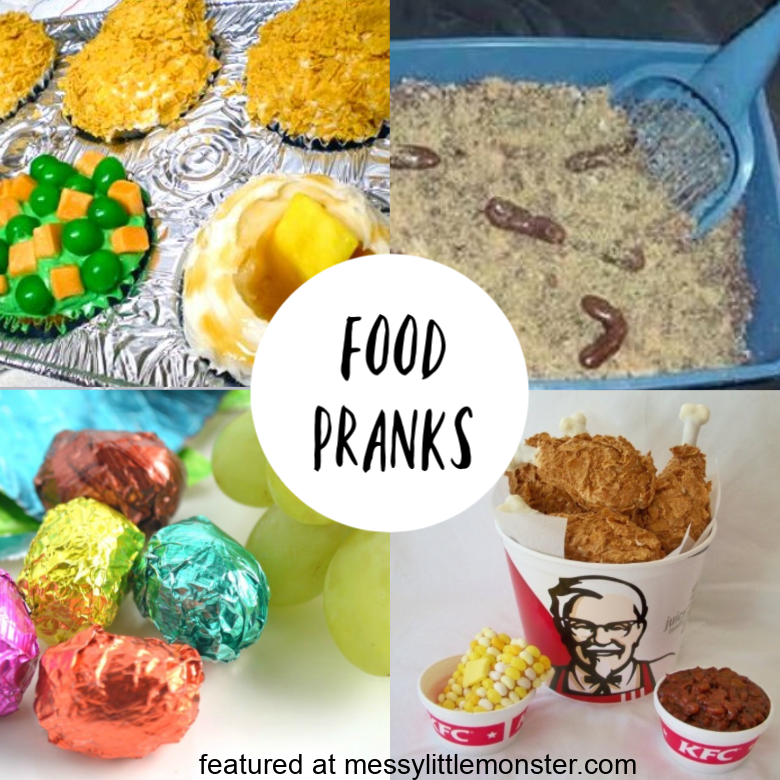 So which of these April fools pranks for kids are you going to try this year? 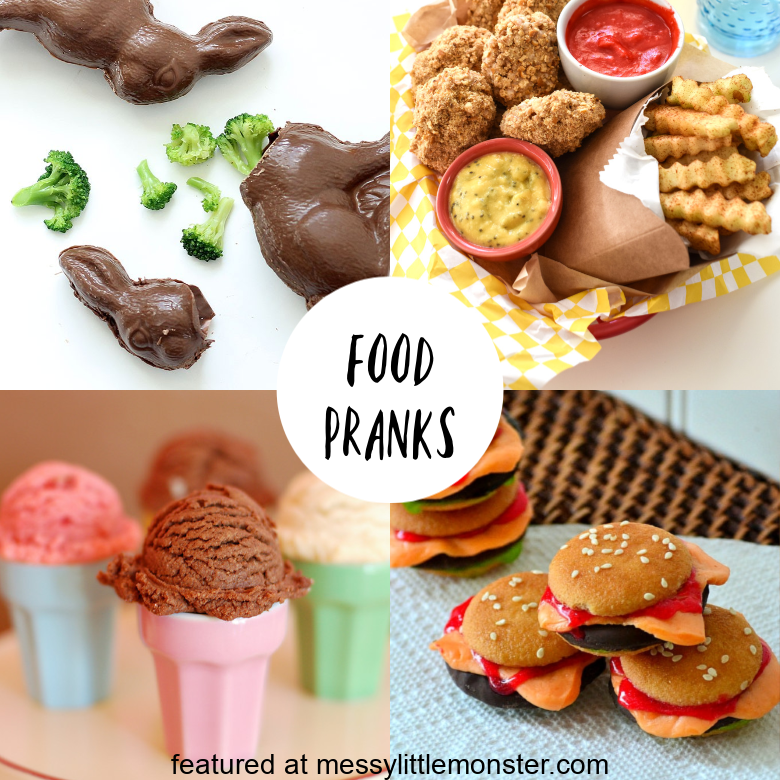 I love so many of these food pranks for kids. What April fools pranks have you played on your family? We would love to hear your April fools ideas.